People would love the chance to visit other countries. It’s a great way to experience different cultures and meet new friends. But one of the downsides of traveling to another country is the mind-numbingly long flight. 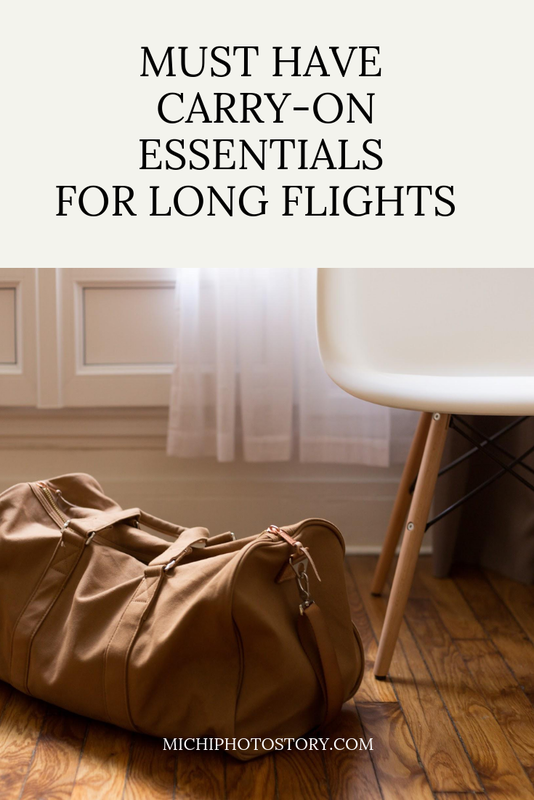 Fortunately, there are a lot of things you can do to survive 13 hours as long as you’re ready with these long-haul flight essentials. You may as well get comfortable since you’re going to be sitting down for hours on end. Most airplanes have cushioned seats, which you can lean back to get yourself comfortable. But they usually don’t have neck pillows, so you can get a crick in your neck if have to sleep in that position for too long. Avoid getting a stiff neck by bringing a snug neck pillow. This way, you can take a long nap and wake up feeling refreshed. On long travels, sometimes a neck pillow can make all the difference. There are primarily two ways to survive a long-haul flight. One is to sleep through it, and the other is to bring enough entertainment to distract yourself. If you can’t get any shut-eye, you can while away the time by reading a good book or two (even three). Fortunately for you, you don’t have to haul your entire library or bring the books on your reading list with you. Bringing an e-reader will do. Most e-readers can hold hundreds to thousands of e-books, so you can browse through your collections and read as many books as you want to ease your boredom through the long trip. Additionally, you don’t have to worry about your eyes hurting after reading for hours since most e-readers nowadays have paperlike screens and displays that mimic real books. Your smartphone is another thing that you can use to distract yourself through the flight, so make sure to charge it fully before you leave. You can listen to your favorite playlists, check your social media accounts, chat with your friends, play games, and watch videos. If you have last-minute details to iron out your travel itinerary, you can use your phone to do just that. You can book a ride to pick you up at the airport, contact your hotel for a change of plans, or book reservations for a tour or a diving class. A smartphone is as invaluable for travel as it is in everyday life. While manufacturers have done their best to extend the battery life of smartphones and other devices, there’s still not enough power to last an entire day of constant use. Avoid the nightmare of a dead phone during a long flight by bringing a portable charger (or chargers if you have other devices). With a portable charger, you can recharge your phone in flight and continue listening to your playlist, watching cute animal videos, and browsing Facebook and Instagram. If you’re unlucky, you might spend a long flight trying to block noise from fellow passengers. You can’t jump off the airplane (or throw those disruptive passengers out). Fortunately, you can bring noise-canceling headphones with you. With these headphones, you can put on your Zen or classical music playlist and enjoy a noise-free rest throughout the whole flight. If the noise-canceling headphones don’t work, you can always bring some earplugs. Airlines can be such capitalists and will charge you for anything you request. Airplanes can be especially cold, and if you hate the cold, you should bring a warm scarf or travel wrap to use in flight if you don’t want to be charged a fee for a blanket. You can pack a fleece scarf or travel wrap. It’s thick yet lightweight and will keep you warm, so you can be cozy for all those hours. Be prepared for every occasion by bringing a travel kit. Your kit should include small-sized toiletries; a mini first aid kit with medicine for motion sickness, diarrhea, fever, and pain; things for oral hygiene; and emergency cleaning products to remove clothing stains and the like. There are a lot of travel kits you can buy nowadays. But it’s you who knows what you need so it may be best to pack your own travel kit to make sure you don’t miss out any of your travel essentials. If you’re not used to long-haul flights and get bored or frustrated during one, you can work out your thoughts and emotions by writing them in a journal. Keeping a journal has many benefits to your well-being. Aside from cataloging your thoughts, ideas, and experiences, journal writing helps you process all of them to declutter your mind and make way for new information and memories. It also helps you understand yourself and your thought better so you can identify the parts of yourself that you need to improve. If you can’t seem to find the time in your everyday life to write in your journal, take the opportunity to do it midflight, when you don’t have anything else to do and have nothing to distract you. You can’t pack all the long-haul flight essentials without a durable, lightweight bag. A duffel bag is the perfect carry-on luggage since it’s spacious, easy to carry, and stylish, like this water-repellent canvas duffel bag from Groovy Groomsmen Gifts. You can fit all your travel essentials in a duffel and still have space. If you like traveling in style, it can also match outfits better than a backpack or roll carry-on luggage. Nobody has ever died of boredom during a long-haul flight, but that doesn’t mean you have to suffer from it. Don’t sacrifice your sanity by going into a 13-hour flight without preparation. Prepare everything you need for comfort, such as your own pillow and wrap. And don’t forget noise-canceling headphones to get a restful sleep in flight. Pack your e-reader, and load it with as many books as you can so you have more than enough books to read. Charge your smartphone (and other smart devices), and bring portable chargers to enjoy different kinds of entertainment for hours. You can also make a productive use of your time by writing on your journal. Do everything you can to make every aspect of your travel fun and relaxing.